i loved it when slug found donut !!!!!!!!!!!!!!!!!!!!!!!!!!!!!!!!!!!!!!!!!!!!!!!!!!!!!!!!!!!!!!!!!!! I liked that norman wears underpants. the bit when he crashed was wonderful. I liked the different shells he tried on. 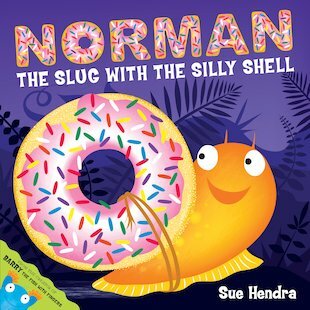 It is about a slug called Norman who wants to be a snail but has to find a shell. As a trainee teacher i found that ks1 classes loved the book and found the humour in it very amusing!